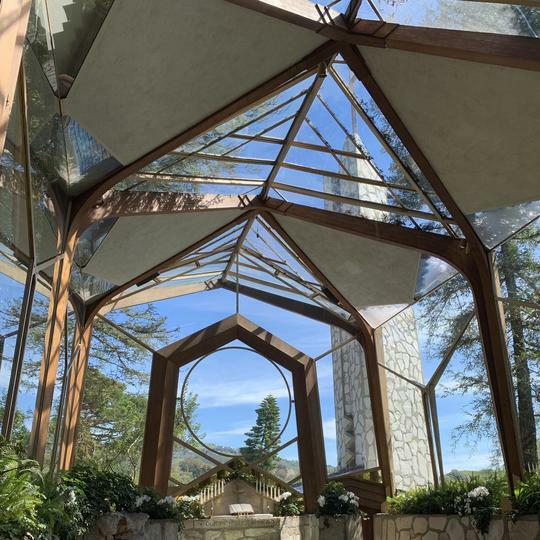 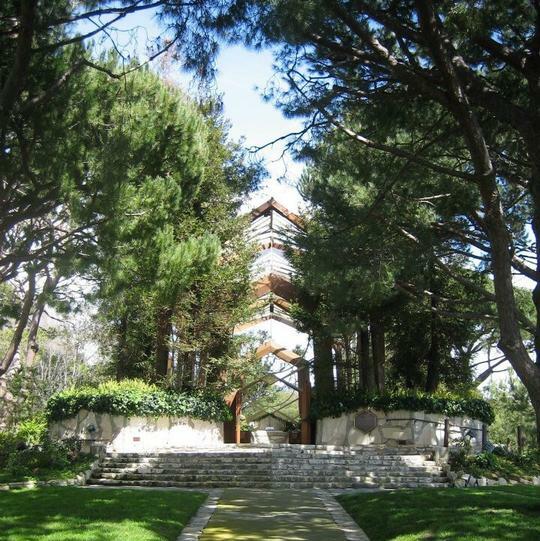 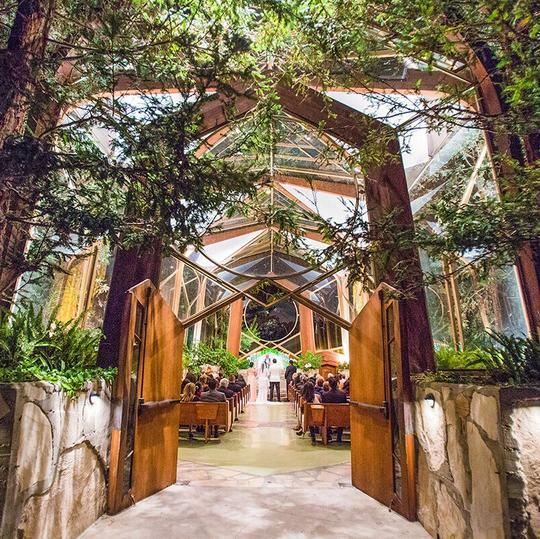 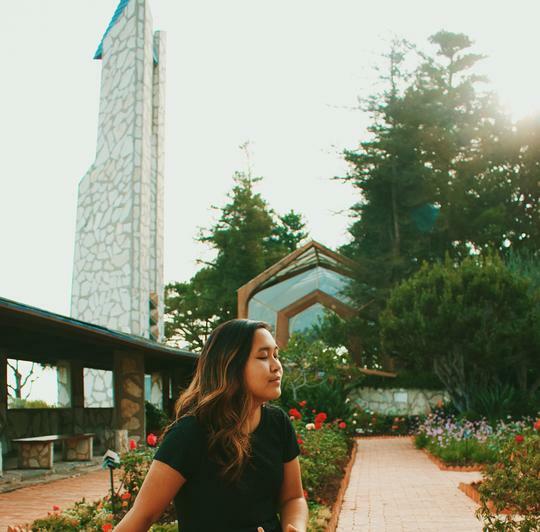 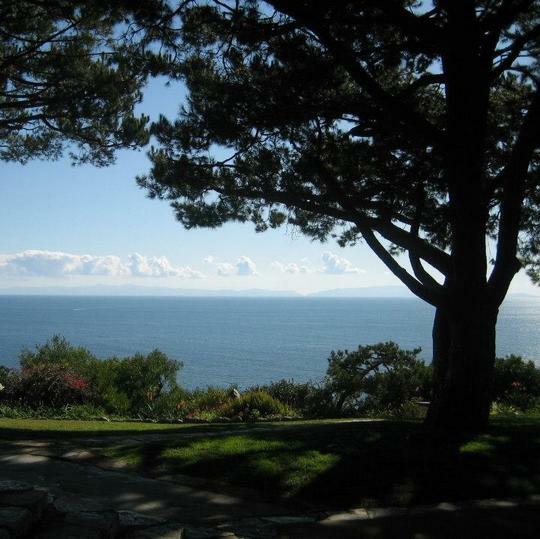 Quite possibly one of the world's most beautiful structures to stand in, much less get married in, the Wayfarers Chapel was designed by Lloyd Wright (son of Frank Lloyd Wright) for Swedenborgian Church. 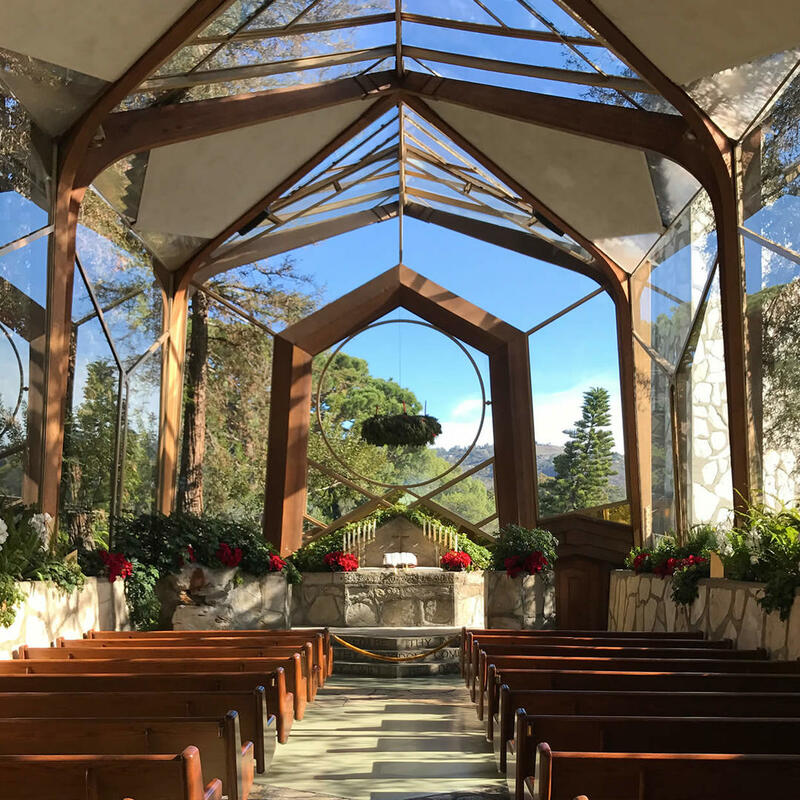 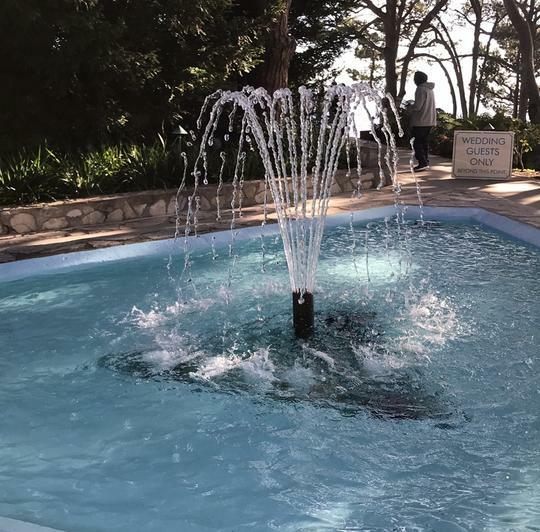 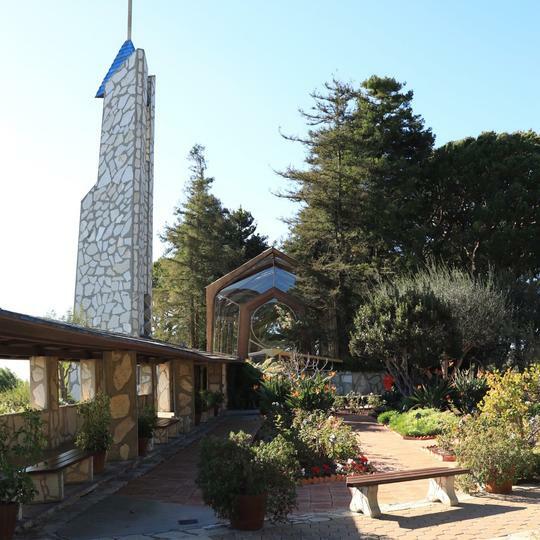 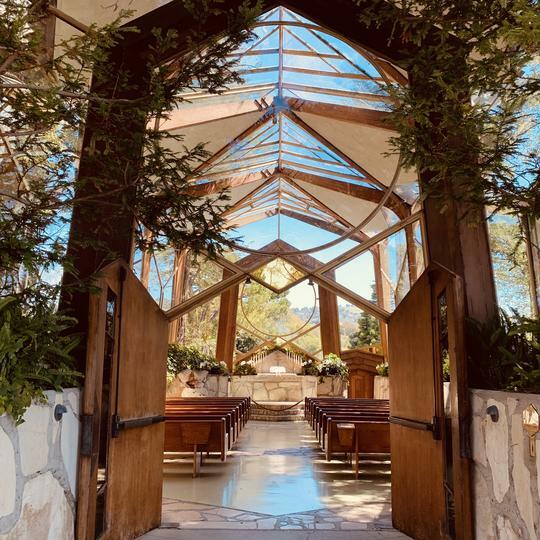 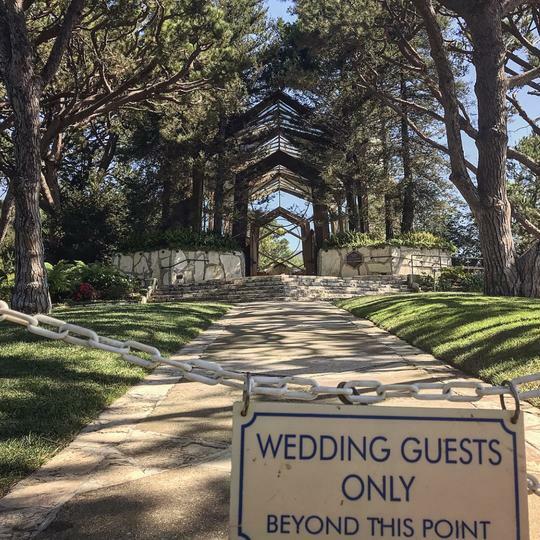 You don't have to get married or even be a member of the congregation to enter; this simple yet elegant building and its grounds are open to the public. 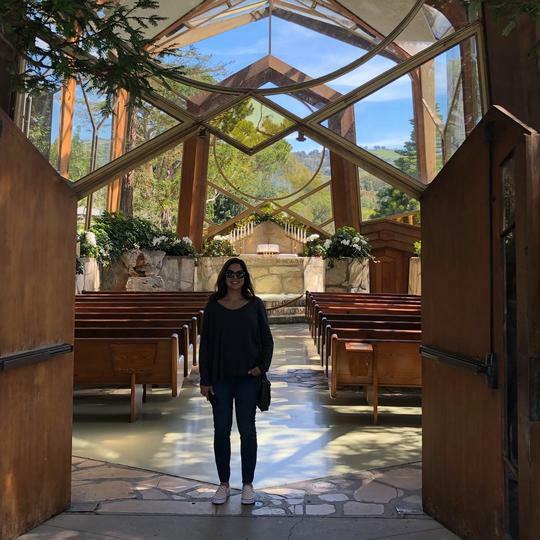 Wayfarer Chapel on a day when you can’t get inside because of a wedding.